Donate today to keep learning in play! We inspire growth in all children by engaging families in learning through play. 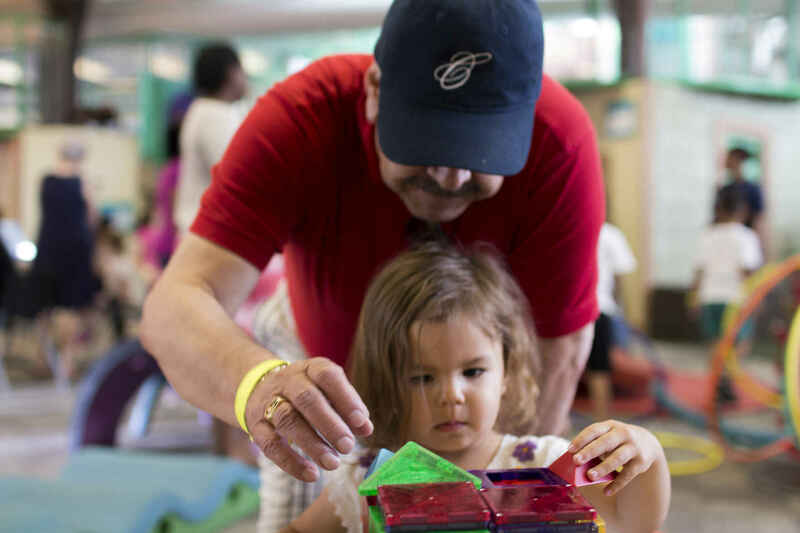 For the families that we serve- children, parents, grandparents and caregivers, both members and non-members - the Children's Museum is much more than a place for children to play. The Children's Museum serves as a non-profit community resource of programs and activities for educators, partners and peers involved in promoting the benefits of learning through play. Our mission is facilitated by the support of our staff, board and volunteers, along with the generosity of individual, corporate, and foundation donations. Access for All Fund: Gifts designated to the museum's Access for All Fund make it possible for low-income and at-risk children, families, and schools to receive free and/or reduced access to the museum's resources including Single Day Admission, Scholarship Family Memberships, Field Trips, Caregiver Education, and age-appropriate books. Annual Fund: Gifts designated to the Annual Fund allow the museum to continue serving our community and may be used however needed in support of the museum's mission. Book Bank: Gifts to the Book Bank allow the museum to purchase new books whenever the Book Bank's needs outnumber the books being donated by members of the community. These gifts become particularily helpful when bilingual books are requested! Commonwealth Parenting: Gifts to Commonwealth Parenting support Caregiver Education for low-income and at risk communities. Thank you for your support of the Children's Museum... where learning is always in play! All donations to the Children's Museum of Richmond are tax deductible as provided by law unless otherwise stated. Everyone deserves access to high quality educational activities. Happy birthday to Charlie S.! To provide a little help to a wonderful museum that my granddaughters will visit frequently. The museum offer special events for children with special needs. Our grandson is autistic. The outreach is appreciated.